Backup policies can be automatically applied to cover various backup scenarios. The permanent incremental backup and restoration reduces backup time and cuts down the recovery time objective (RTO) to minutes. A full initial backup is followed by permanent incremental backups, significantly reducing the space occupied by backup files. Backup storage, which is charged based on usage, can be expanded or reduced when required. Online, uninterrupted backups can be performed on EVS disks, and backup files can be used to seamlessly restore EVS disks. VBS backs up data to OBS, ensuring 99.999999999% data durability.  The system disk image and data disk backup of an ECS can be used to quickly create identical ECSs, facilitating rapid batch-deployment of services across availability zones (AZs). Backup can be configured in three steps and an EVS disk can be created from a backup in two steps. Storage resources for backups are charged based on usage, and can be reduced when required. EVS disk backups can be used to create EVS disks across AZs, enhancing the reliability of data. Policies can be configured for automatic backup of EVS disks. The backups are performed without interrupting ongoing data operations on EVS disks. Backups can be used to perform rollbacks, create disks, and incrementally restore data. Backups can be encrypted and stored in multiple data centers. VBS backs up EVS disks of a running Elastic Cloud Server (ECS) and does not require the ECS's EVS disks to be detached. A backup policy can be easily defined and associated with one or more EVS disks to implement automatic backup. An EVS disk backup can be used to restore the source EVS disk to its original state. The backup can also be used to create a new EVS disk containing the same data that the source EVS disk had when it was backed up. When the latest backup is used to restore a source EVS disk, only the data blocks that have changed since the last backup are restored, cutting down the RTO to minutes. Backups of encrypted EVS disks are automatically encrypted to ensure data security. Copies of each backup are stored in multiple data centers, making the backups immune to data center failures.